Heart Rate Monitor Training – Does it work? “I was so in the zone” I overheard a woman proudly announcing during a dinner conversation. Since the invention and widespread use of heart rate monitors, our approach to cardio vascular training has changed. These devices provide an inexpensive and efficient tool to enhance your fitness program by monitoring your heart rate during your workouts. Your motivation will skyrocket. Depending on the system you use, you can take advantage of an online tracking tool to establish accountability. In conjunction with an integrative online system, your monitor will help you to establish records regarding your improvements. You can easily review your performance on charts and compare your applied strategies that result in your fitness success. How can I establish my individual zone for endurance, fat burning, and weight loss? Do these numbers really make sense? Do those methods reflect my individual training zones? These are the issues you should consider when you incorporate heart rate monitor training into your fitness program. We know the formula of determining your optimal maximum heart rate as 220 minus your age, established in the sixties by Mr. Haskell. By definition, your maximum heart rate is the highest heart rate an individual can achieve without severe problems through exercise stress. However, a new formula recently arrived to calculate one’s maximum heart rate. This formula was established by Dr. Seals, an exercise physiologist at the University of Colorado. He came up with a better formula, since many discovered that individuals’ maximum heart rates can vary by 30, plus or minus. Dr. Seals’s formula uses 208 minus age times 0.7 (208 – (.7 x age) = maxHR). In a more recent study, Oakland University researchers also came up with a very similar formula, using 207 minus age times 0.7 (207 – (.7x age) = maxHR). MyZone, a heart rate zone monitoring system, uses the formula of 207 minus age times .7658 (207 – (.7658 x age) = max HR). By analyzing the numbers from these formulas, I indentified that the highest maximum heart rate is established when those age 20 to age 30 use the 220 formula first, then the 208 formula, followed by the 207 formula (see Figure 1). 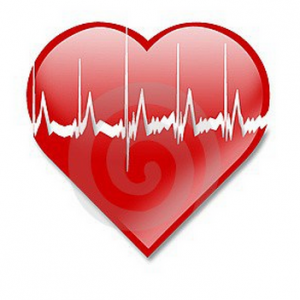 There are differences between 3 to 8 beats per minute in the calculation for the maximum heart rate. From the age of 30 to age 40, all three formulas calculate the maximum heart rate very closely. This stays the same until one reaches the age of 40 (see Figure 2). These figures differ between 3 to 6 beats per minute in the calculation for the maximum heart rate. After the age of 41 the 208 formula calculates the highest maximum heart rate, followed by the 220 formula and the 207 formula (see Figure 3). These figures demonstrate differences between 0 to 4 beats per minute in the calculation for the maximum heart rate. We can conclude from this analysis that various formulas give us various figures in terms of our maximum heart rate. Also, we can conclude that, when we increase the age in the formula, less discrepancy in the maximum heart rate is shown. Yet, a study conducted by the Department of Kinesiology and Applied Physiology at University of Colorado at Boulder confirmed that these formulas, particularly among those of older age, are not accurate. This study concluded that the currently used equation underestimates the heart rate maximum in older adults. The same is true for the other two formulas (208 and 207). It is common sense that the person who is out of shape cannot train at the same maximum heart rate as a person who has been training consistently for several years. Also keep in mind that other factors can affect your heart rate; for example, nose breathing vs. mouth breathing and medication. What are my options for easily establishing my genetic maximum heart rate to use within my target heart rate zone training approach? Is there a method to determine my maximum heart rate that we can use for heart rate zone training to establish accurate fat-burning programs and establish a proper cardiovascular base? There is one technique that allows you to establish your maximum heart rate. This is the I-Mett test. The I-Mett test will measure your Vo2 output and heart rate. A comfortable speed is established, and intensity is applied by increasing the incline. There is a point at which the body’s metabolism changes from aerobic to anaerobic activity. During this exercise test, this shift is easy indentified and associated with sudden increase in breathing, increased fatigue, and burning in the muscle, and the production of carbon dioxide is greater than the consumption of oxygen. This is at about 80% to 85% of the maximum heart rate. You still will be able to continue for a little while until you break up the test. This will establish your true personal maximum heart rate that you can use to derive your training target zones. Heart rate monitor training is a great tool for motivation, accountability, and measure your progress. Yet, you need to start out with the right number of your true personal maximum heart rate to gain accuracy in your trainings approach. The formulas as mentioned above are those that are applied in the exercise equipment system. Hence, you should take the information regarding the maximum heart rate with a grain of salt, since it is not individualized with consideration for your genetic makeup and your current state of cardiovascular fitness. Please keep in mind that the fitness level and proper function of your heart are measured during the recovery phase. A heart that is healthy and trained will recover at a quicker rate than one that is not as healthy or is unaccustomed to regular exercise. We would be honored to help you with your current fitness, diet, or pain management program. Click here to schedule your complimentary consultation.